THE MENSWEAR TAILORING PROGRAM WILL PREPARE STUDENTS FOR THE EXCITING WORLD OF MENSWEAR DESIGN. In this three month curriculum, students learn the traditional art of menswear tailoring. 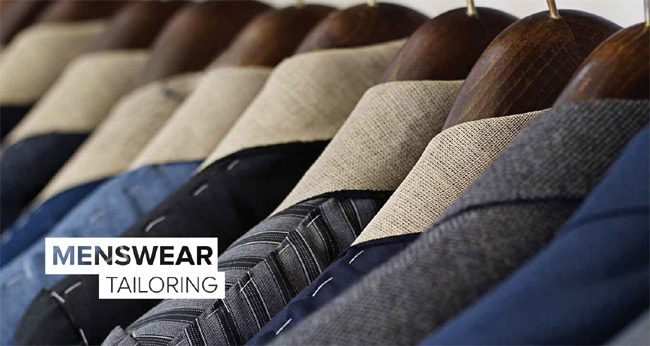 The emphasis is placed on developing the advanced hands-on technical skills specific to the menswear industry. Students will first take their sewing skills to the next level by perfecting the fundamentals of both machine and hand sewing. Upon mastering these skills, students then progress to pattern making. This process includes creating patterns for a menswear shirt and blazer. At the culmination of the program, students synthesize their skills to create a bespoke vest, jacket and pantsuit. Throughout this process, students will be mentored on creating a menswear portfolio and resume. By completing the Menswear Tailoring program, students will be better prepared to enter the menswear division of the fashion industry. The 3-month program consists of 3 courses and a total of 144 hours. The primary phase of Menswear Tailoring begins with understanding the tools and equipment necessary to create a fine tailored menswear garment. Then students will dive straight into the sewing skills needed to master the construction of a suit jacket and pant. They will continue to learn these specific sewing skills throughout all three phases of the program. The next skill set required for menswear tailoring is pattern making. Students gain these abilities through creating a menswear tailored shirt pattern. They will create a sloper and learn how to mark, notch and adjust patterns. For the final phase of this course, students will be producing a full suit including linings. This is the culmination of demonstrating the acquired skill set from this program. Students are required to have basic skills in both machine and hand sewing. In addition, students should be comfortable with measuring and creating patterns. This is necessary prior to working with menswear patterns and creating slopers. A basic understanding of how menswear fits will be needed as students learn to create patterns for dress shirts, menswear jackets and pants.